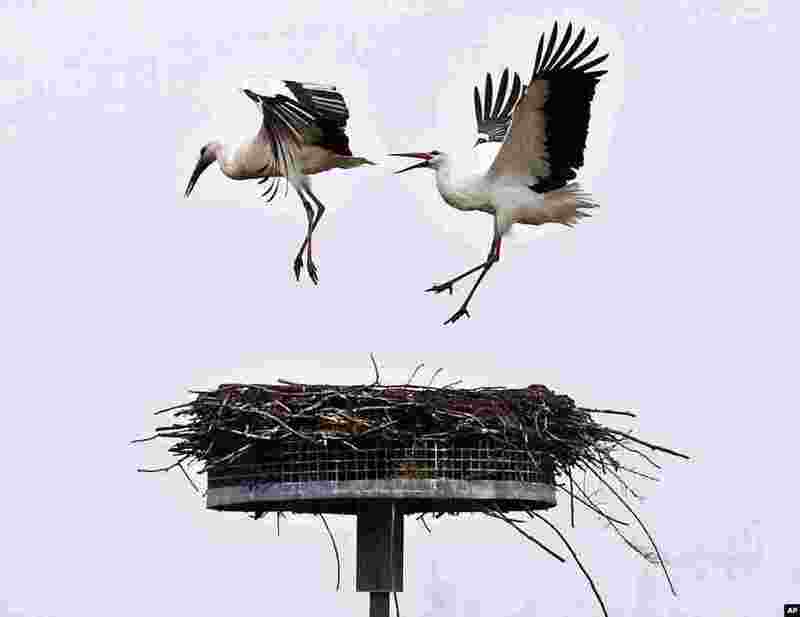 1 A stork chases away another stork from its nest in Biebesheim, south of Frankfurt, Germany. 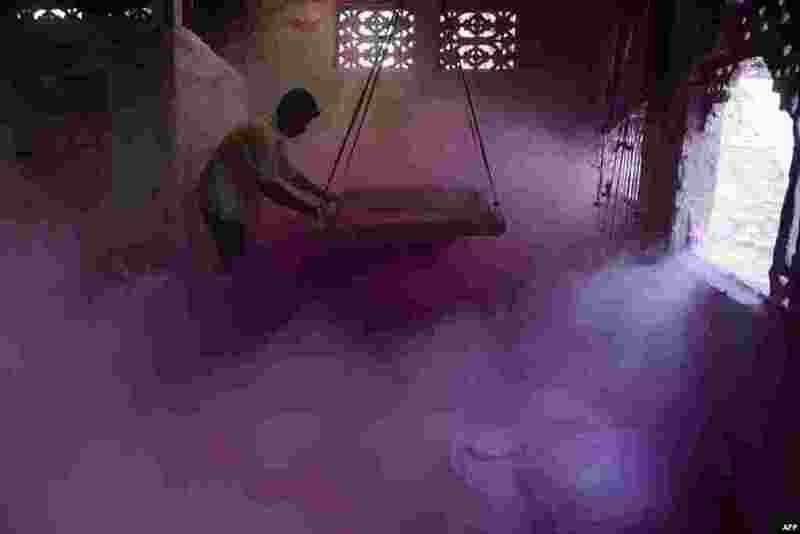 2 An Indian laborer sifts colored powder, known as 'gulal', to be used during the forthcoming spring festival of Holi, inside a factory at Fulbari village on the outskirts of Siliguri. 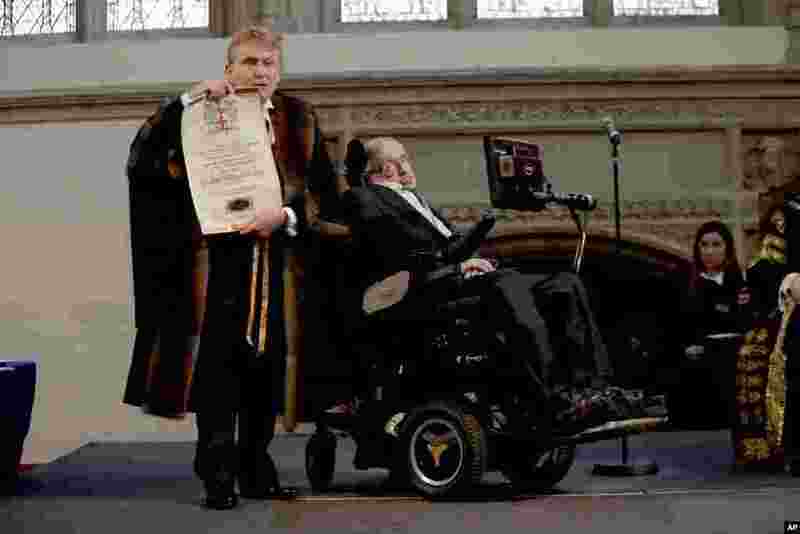 3 Chamberlain of the City of London Peter Kane presents British Professor Stephen Hawking the Honorary Freedom of the City of London in recognition of his outstanding contribution to theoretical physics and cosmology, during a ceremony at the Guildhall. 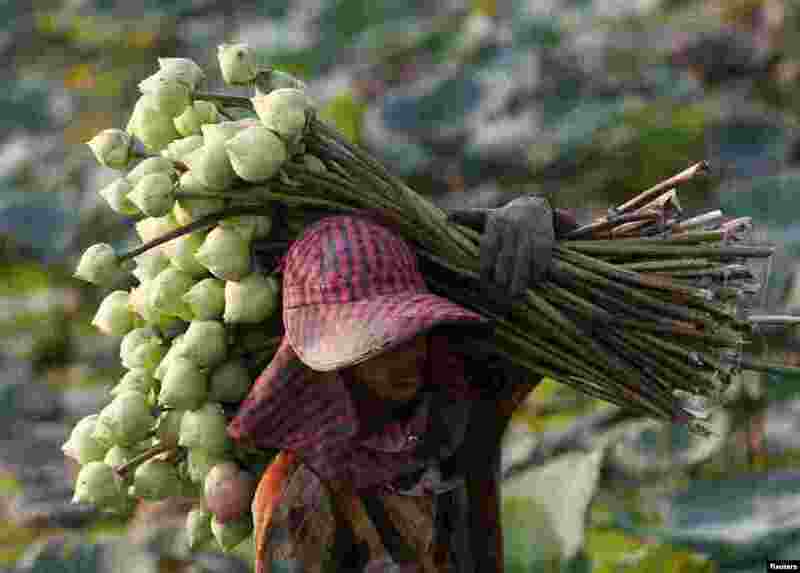 4 A man collects lotus flowers at a pond for sale, in Kandal province, Cambodia, March 5, 2017.